Hi there, my darlings! With this brutal weather that we are having in many parts of the US, I think this is the perfect time to discuss how to keep your skin healthy despite the dropping temperatures. Add wind chills and pollution to that and your skin could use all the help it can get! So, when OZ Naturals reached out to me to review a few products from their skincare line, I was intrigued and after reading up on the products, I willingly agreed to test how these three ingredients benefited my skin. 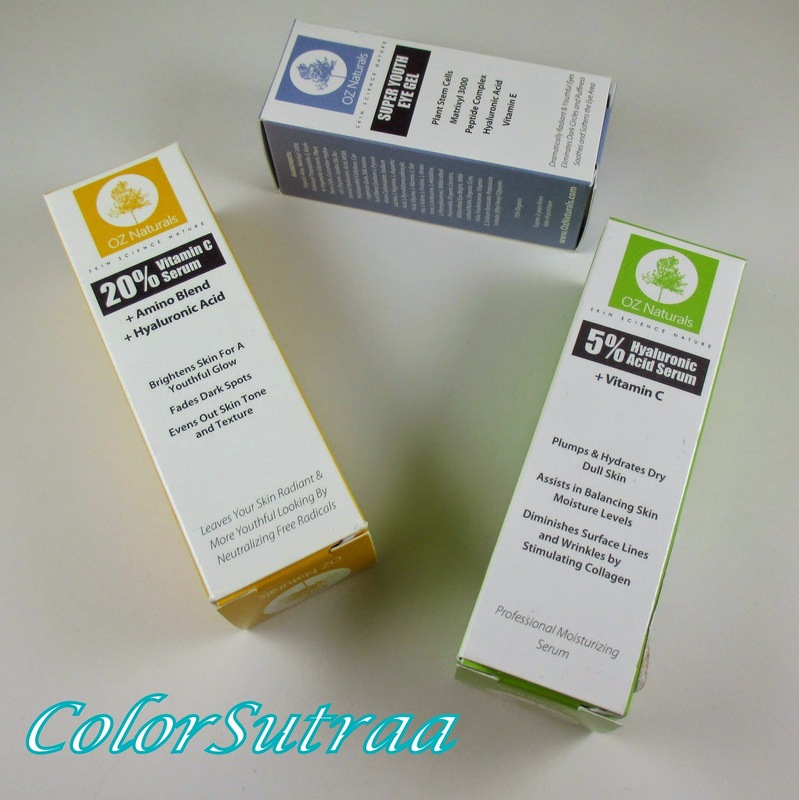 The three products sent to me, and used pretty much in conjunction, for the duration of my testing period include their 20% Vitamin C Serum, 5% Hyaluronic Acid Serum and their Super Youth Eye Gel. USES AND IMPRESSIONS : Hydration is huge for me during the winter since my skin tends to get particularly dry around the nose and mouth. According to the instructions, this is a rather potent serum and need only be used once every other day. My skin being rather sensitive, I stuck to using it only about twice a week. I've used it for about a month, twice a week, and though I don't have noticeable issues with fine lines or wrinkles (touchwood! 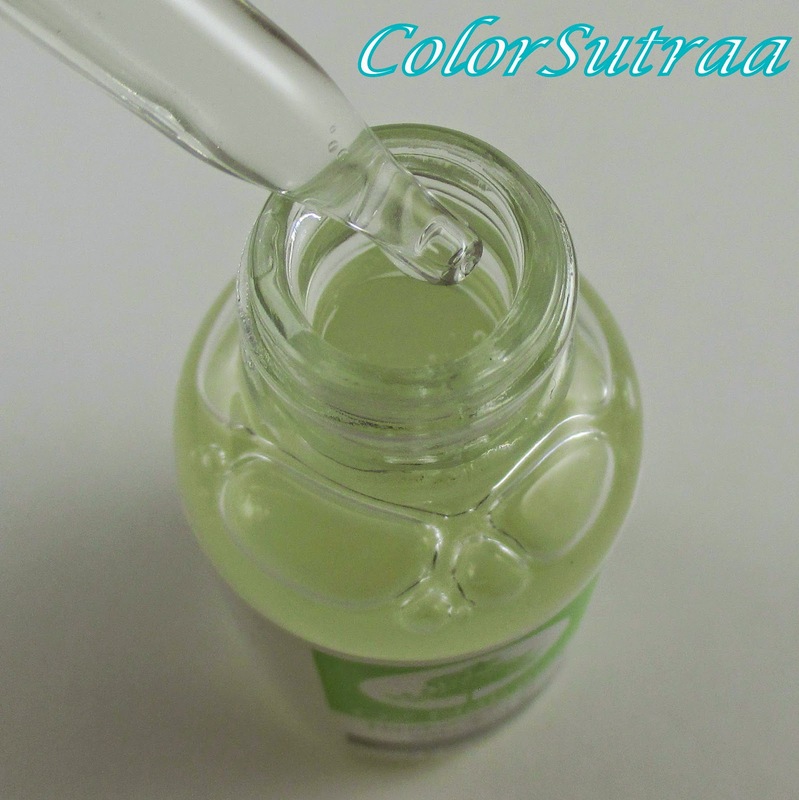 ), I loved how this serum made me feel afterwards! So soft and bouncy! This product would be great if you're looking for an anti-aging serum--for me, I doubt I would use this consistently since it is such a strong serum and my skin can be so sensitive. USES AND IMPRESSIONS : This one I used every single night, after cleansing in the shower and then applied my regular moisturizer afterwards. 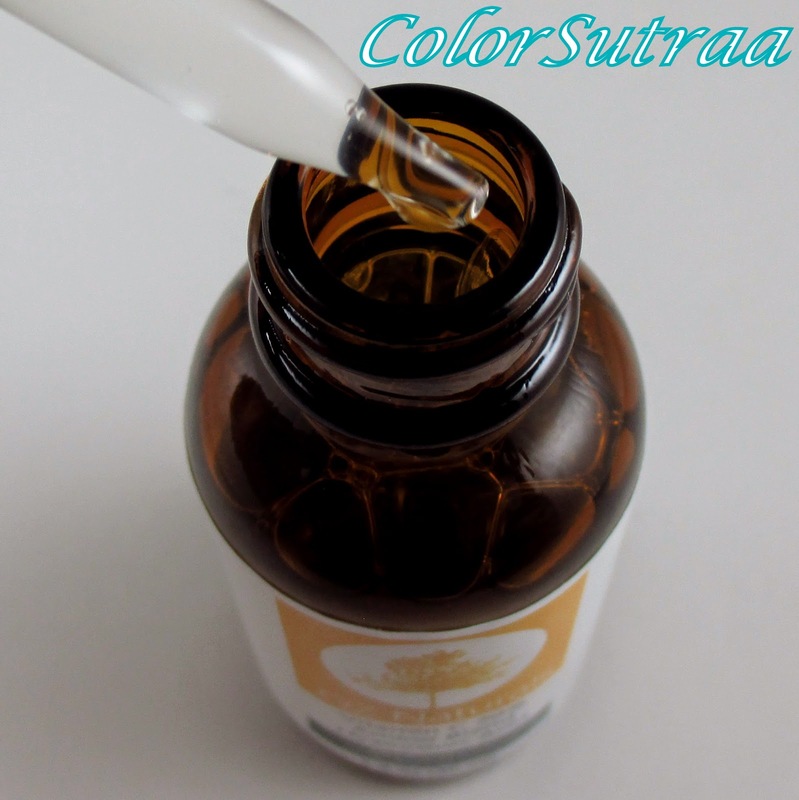 I have used a Vitamin C serum in the past and really liked it. Immediately, with this product, I could tell that it was of a great quality--it left my skin feeling refreshed, tauter and firmer. I really like the slight citrus fragrance! And the best part is the morning after After just washing my face with water, my skin all but glowed! USES AND IMPRESSIONS : Now, eye gels were never really part of my routine but I haven't been sleeping so great lately, probably due to my own fault of staying up way too late, so I've relied on a dab of this under my eyes and on my eyelids quite often. The best thing I can say about this is how soothing this is to tired eyes--like a mini massage but for yours eyes. And I love the pump nozzle that allows you to control how much or how little you need per application. 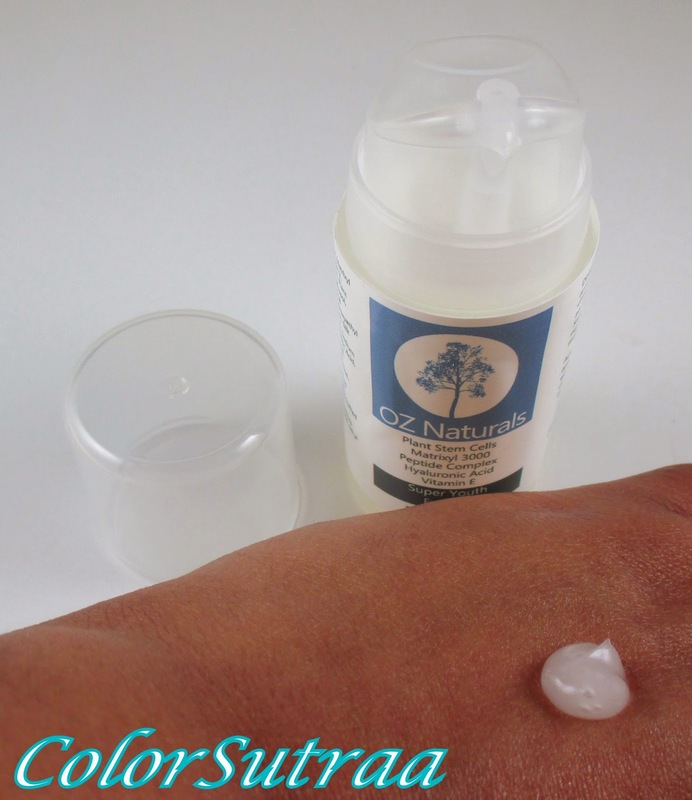 If you would like to pick up OZ Naturals 5% Hyaluronic Acid Serum, you can find it ON AMAZON HERE for the price of $17.49 for a 0.5 fl oz bottle--remember a little goes a long way with this one! If you would like to try OZ Naturals 20% Vitamin C Serum for yourself, you can find it ON AMAZON HERE for the price of $22.49 for a 1 fl oz bottle. If you would like to add the OZ Naturals Super Youth Eye Gel to your skincare routine, you can find it ON AMAZON HERE for the price of $17.49 for a 0.5 oz bottle.